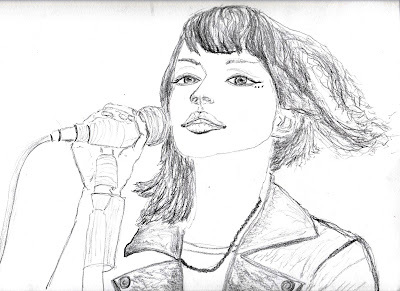 Sketch of Lauren Mayberry, lead singer of Chvrches. 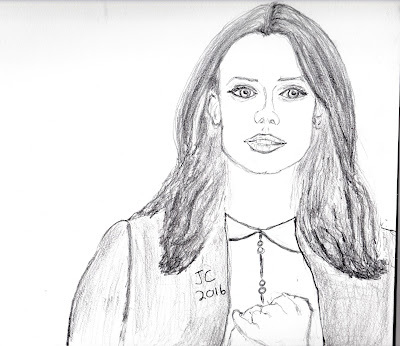 Drawing of actress Mia Kirshner, ("Defiance", "The Vampire Diaries", "Exotica", "24"). 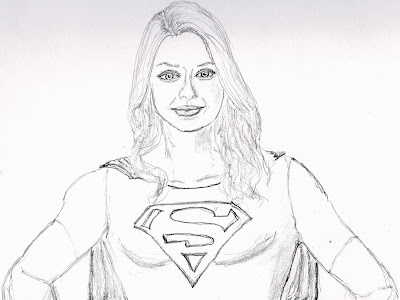 Supergirl sketch, based on the new CBS series version, played beautifully by Melissa Benoist. 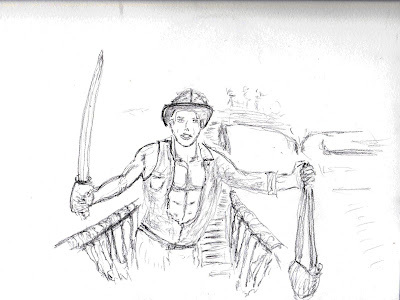 Quick/rough storyboard sketch from "Indiana Jones and the Temple of Doom". 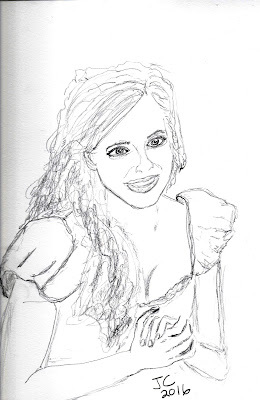 Sketch of Giselle (Amy Adams) from "Enchanted".